No Show Socks - 9 Pair Only $12.49 Plus FREE Shipping! You are here: Home / Great Deals / No Show Socks – 9 Pair Only $12.49 Plus FREE Shipping! No Show Socks – 9 Pair Only $12.49 Plus FREE Shipping! My feet feel so yucky when I wear sneakers without socks, but when I wear sneakers with shorts I don’t want the socks to show! Here are 9 perfect solutions. Get these No Show Socks – 9 Pair for Only $12.49 Plus FREE Shipping! 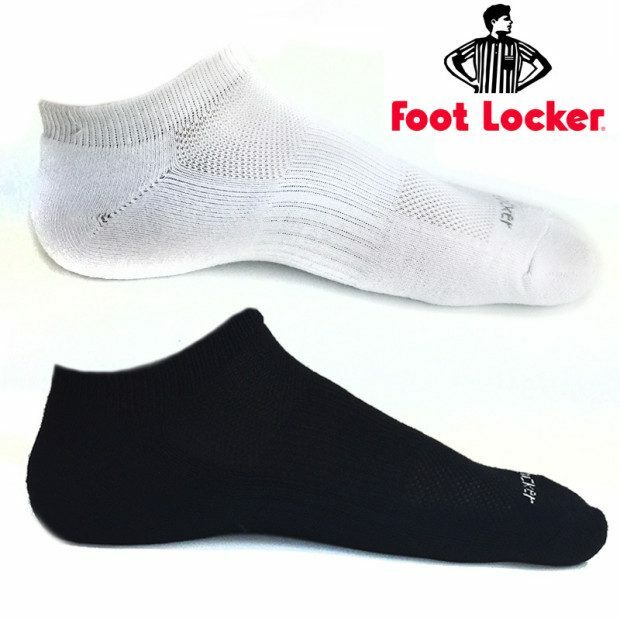 Available in white or black the Foot Locker Socks have a ventilated arch and cushioned sole to give you a full day of comfy wear!